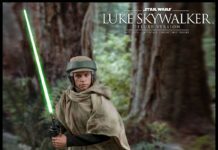 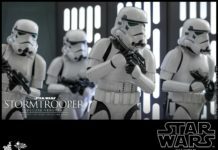 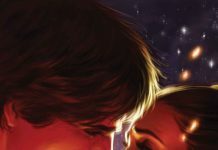 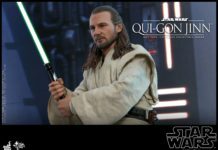 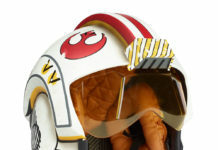 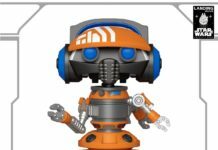 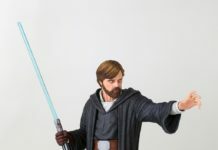 Hold on to your seats Star Wars fans, Hot Toys has just released a preview of some of the coolest Star Wars collectibles you can find! 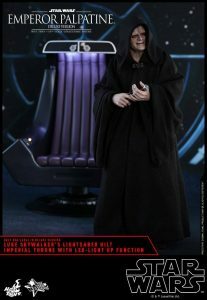 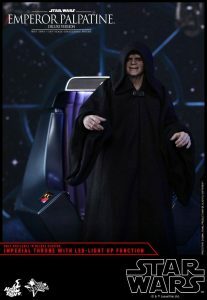 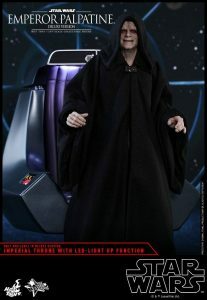 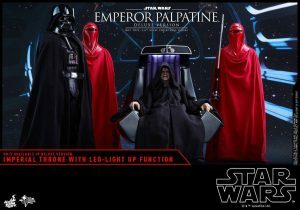 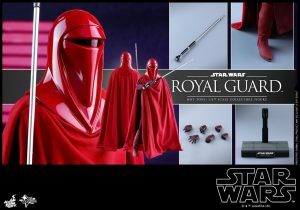 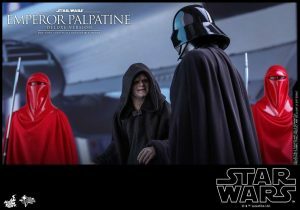 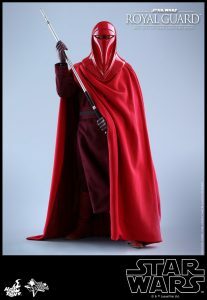 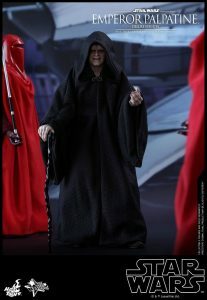 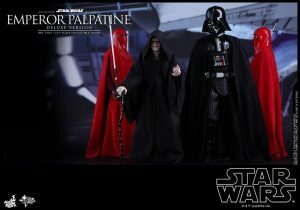 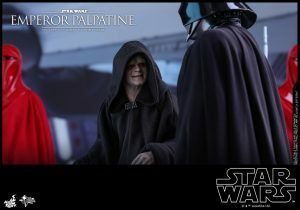 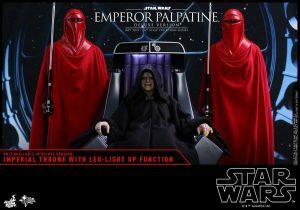 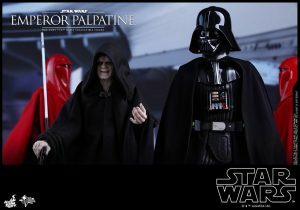 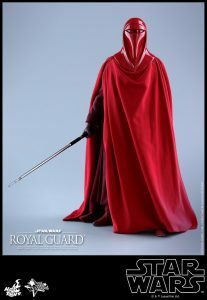 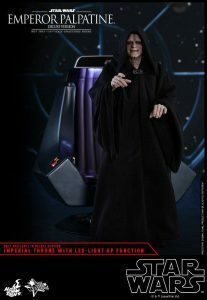 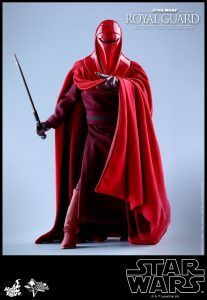 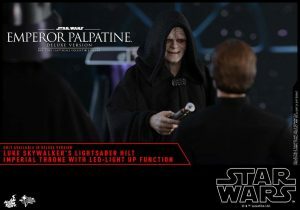 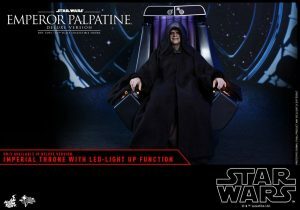 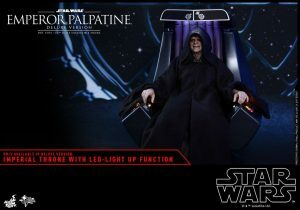 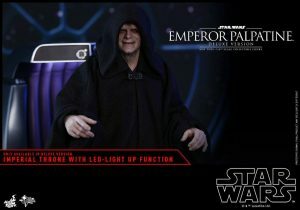 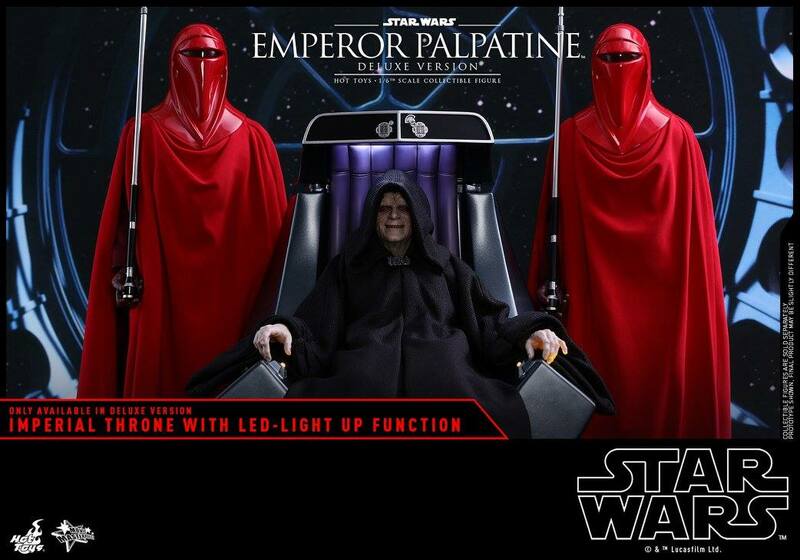 The company just revealed pics of their upcoming Emperor Palpatine and Royal Guard 1/6 scale figures! 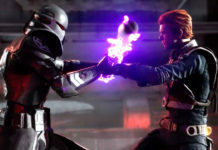 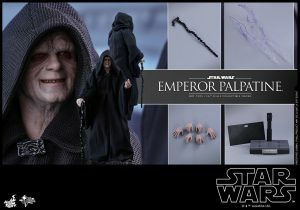 The Emperor includes interchangeable hands, lightning effects pieces and a figure stand. 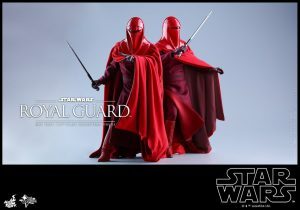 The Royal Guard includes interchangeable hands, a Force Pike, and a figure stand. 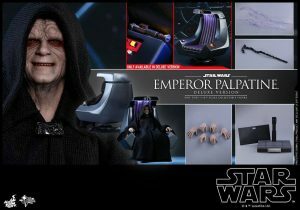 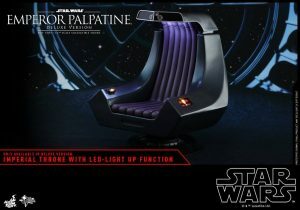 In addition to the main releases, a deluxe edition of The Emperor will be available, which includes his throne. 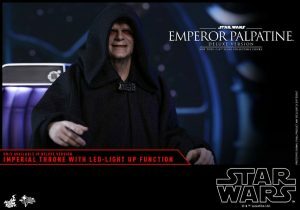 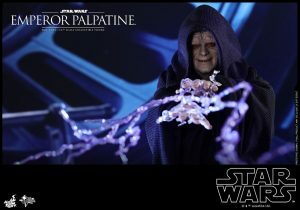 Pre-order your Star Wars Emperor Palpatine Star Wars Sixth Scale Figure now from Sideshow Collectibles. 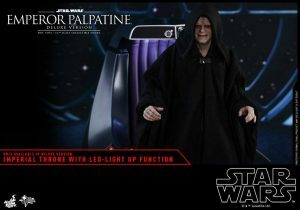 Today, in expansion of our Star Wars classic trilogy collectible series, Hot Toys is pleased to officially introduce the 1/6th scale collectible figure of the evil Sith lord Emperor Palpatine! 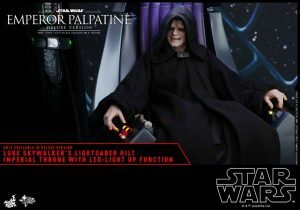 The highly-accurate collectible figure is specially crafted based on the appearance of Emperor Palpatine in Star Wars: Episode VI Return of the Jedi. 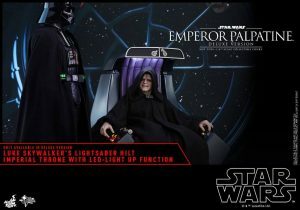 It features a newly developed head sculpt with remarkable likeness, specialized body and finely sculpted hands, Emperor’s cane, a pair of Force Lightning effect parts, and a highly detailed throne! 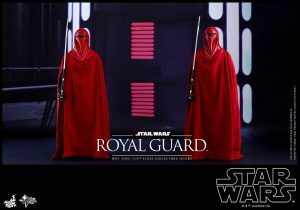 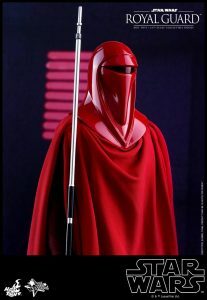 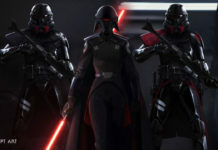 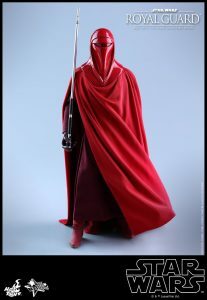 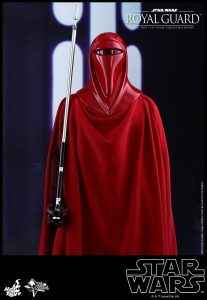 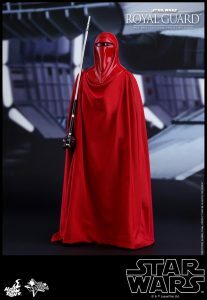 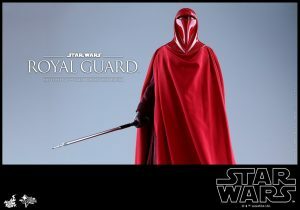 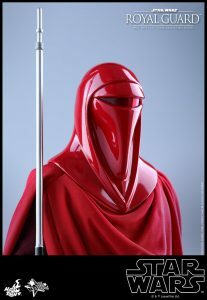 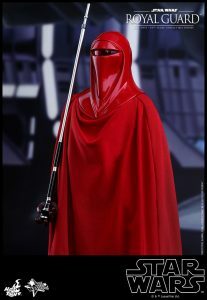 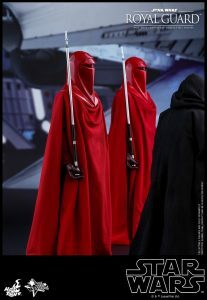 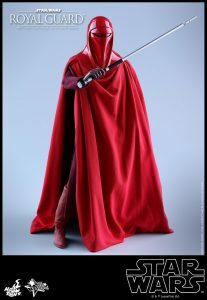 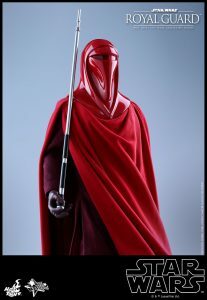 Pre-order your Star Wars Royal Guard Star Wars Sixth Scale Figure from Sideshow Collectibles. 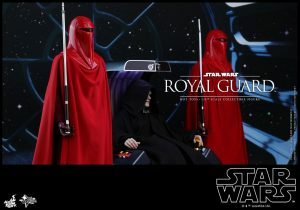 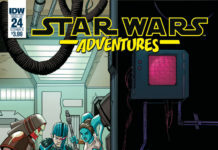 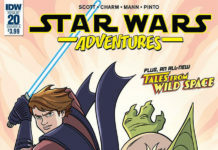 In Star Wars: Episode VI Return of the Jedi, fans are finally able to meet the ominous evil Sith Emperor Palpatine and also introduced us to his Royal Guards. 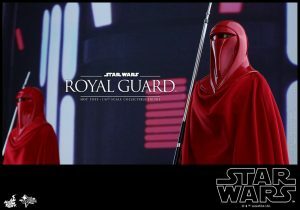 Resplendent in crimson robes and armor, the Imperial Royal Guard protected the Emperor. 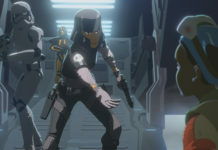 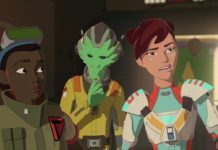 Secrecy shrouded the Guard, with rumors abounding about the sentinels’ backgrounds and combat capabilities. 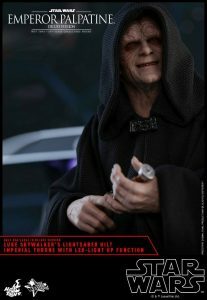 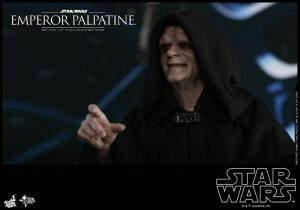 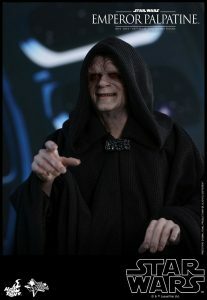 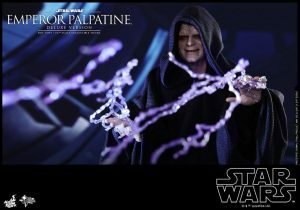 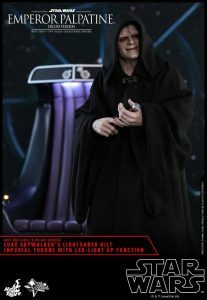 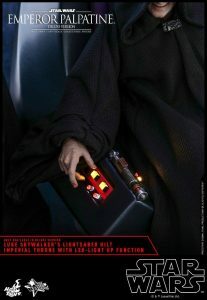 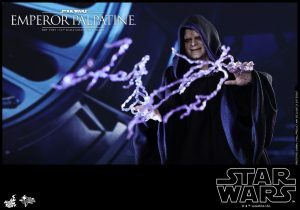 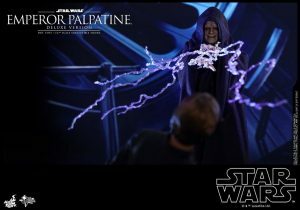 Pre-order your Star Wars Emperor Palpatine Deluxe Version Star Wars Sixth Scale Figure from Sideshow Collectibles! 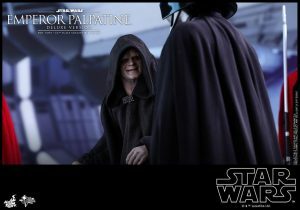 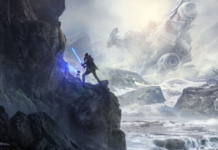 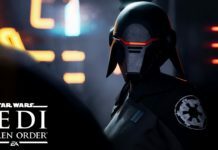 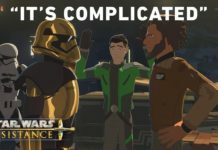 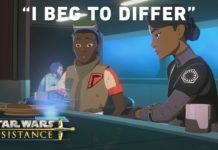 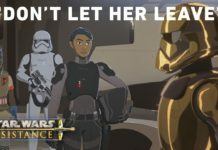 Previous articleHere Come the Star Wars: Battlefront 2 Microtransactions!